FIRST WAVE OF GUESTS AND EXHIBITORS FOR MALTA COMIC CON 2017 ANNOUNCED! Home / Blog / News / FIRST WAVE OF GUESTS AND EXHIBITORS FOR MALTA COMIC CON 2017 ANNOUNCED! Wicked Comics are proud to announce guests David Hine, Ellen Stubbings, Ian Richardson, Glenn Fabry and Ivo De Palma as well as exhibitors Dean Fenech, Christine Mizzi, Nicholas Vella Magri Demajo (The Sith Crafter), Mae McKinnon and Lisa Hirth will be amongst the highlights of Malta Comic Convention (MCC) 2017. The 9th edition of the Malta Comic Con (MCC) will be held on Saturday 2rd December (10am-6pm) and Sunday 3rd December (11am-7pm) 2017 at the Mediterranean Conference Centre, Valletta. Writer and Illustrator David Hine has been working in comics since the early 1980s. He is credited for his work with major publishers on household titles such as Daredevil, Spider-Man, The Spirit, Spawn and The Darkness as well as for co-creating titles such as The Bullet Proof Coffin, Storm Dogs and more recently Second Sight, Aftershock and Cowboys and Insects. Ellen is a children’s book illustrator and comic creator who specialises in drawing and creating cute art products. Her comics include a Weird Cat Chronicles and May Contain Cats, a diary comic about her, her fiancé and their cat. She also sells a range of cute stickers, stationery, ceramics, greeting cards and pin badges. Ian is a comic book penciller, inker and cover artist best known for his work across several publishers, working on titles from 2000AD, Image Comics, Marvel UK/Panini, Darkhorse Comics & Zenescope Entertainment among others. Popular characters Ian has worked on include Sinister Dexter, Judge Dredd, Captain America and Halo. His most recent work include cover art for a Grimm’s Fairy Tales and Wonderland and pencilling work on the upcoming The Unthinnkables. Illustrator Glenn Fabry has been working in comics since the mid 80s and is renowned for his painted covers on hits such as Hellblazer and The Preacher. He is also known for his interior artwork on popular titles such as Slaine, The Authority and Thor amongst others. Italian Ivo De Palma is set to be the first voice actor and dubber to appear at the Malta Comic Con. He gave a voice to various much loved animation characters such as Pegasus (Seiya) in The Knights of the Zodiac (Saint Seiya), Mirko in Kiss me Licia, Rukawa in Slam Dunk, Maito Gai in Naruto and Toki in the new Fist of the North Star movies. His voice is also present in numerous videogames which include Assassin’s Creed, World of Warcraft, Mercenaries, Kill Zone and Resident Evil. He was also the Italian voice of Frank Cooper in the soap-opera Sentieri (Guiding light), and lately Kevin in the successful sit-com How I met your mother. Having exhibited in all editions of the Malta Comic Con, Dean Fenech needs no introduction. He has developed a reputation for being one of the most productive creators in Malta. Besides co-authoring a Social Studies text book used in secondary schools, and providing illustration for a number of published books, he is perhaps best known for his comics Apocalypse Rocked and Times are –a-Changing, the third issue of which will be launched during the convention. 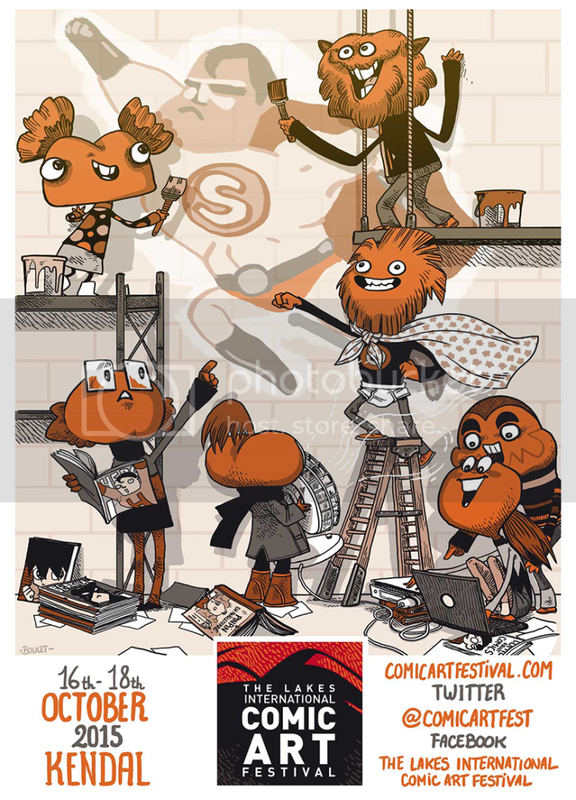 Self taught illustrator Christine Mizzi has first exhibited at the Malta Comic Con in 2015 and has been doing so ever since. She describes her work as “chic sketches – that make others smile”. Her work is as varied as it is striking and includes realistic pencil portraits, neo-impressionistic landscapes, and one-page comic strips depicting satirical content inclined at criticizing social protocol. Also known as The Sith Crafter, Nicholas Vella Magri Demajo is set on making his debut appearance at the Malta Comic Con where he will exhibit his work which consists of creating helmets and masks. Author Mae McKinnon is another creator set to make her debut appearance in the forthcoming Malta Comic Con. Her work includes Academia Draconia and The Damsel and the Dragon. Rumours that she can turn into a dragon has so far been unconfirmed. Aspiring artist Lisa Hirth will also be exhibiting for the first time during the Malta Comic Con 2017. A self confessed geek, Lisa is currently studying art and in addition to creating digital illustrations, she loves painting in oil, watercolours and gouache. Wicked Comics would like to remind locals that wish to exhibit at the MCC 2017 that application forms can be downloaded from (http://www.maltacomic-con.com/download-applications) and sent to (info@maltacomic-con.com). Interested parties are kindly requested to send an email to Wicked Comics on (info@maltacomic-con.com). All tables and event slots are limited and will be allocated on first come, first served basis so those interested are encouraged to book early to ensure participation. The Grimm Fairy Tales Coloring Book Boxed Set Kickstarter is LIVE! Captain Victory and his Galactic Rangers are back! Mycroft Holmes and The Apocalypse Handbook | ReviewFULL PLANS REVEALED: TITAN COMICS AT NEW YORK COMIC CON 2017!